3 days, 6 movers, 11 crates, 342 packages, and 12,647 pounds. That’s what it takes to pack up our worldly possessions for their nice little trip to America. Toys, office supplies, dishes, pots, pans, TVs, couches, chairs, clothes, towels, beds, and so on and so on. And all of it packed tetris style into those monster wooden crates. On one hand, I can’t believe that they fit our entire house into those 11 crates. But on the other, it is crazy that we have so much stuff. And I’m not talking about all of the “Crap” I wrote about before. I’m talking about actual, useful stuff. Roomfulls of useful stuff. Crazy what two (and a half) people can accumulate in 7 years. Think about those numbers though. Besides the fact that I can’t believe we have over 12,000 pounds of stuff, I can’t believe they packed it all up in only 3 days. Especially since they don’t actually pack for 8 hours a day, only the first 6 or so then spend the rest of the time packing it into the large wooden crates. 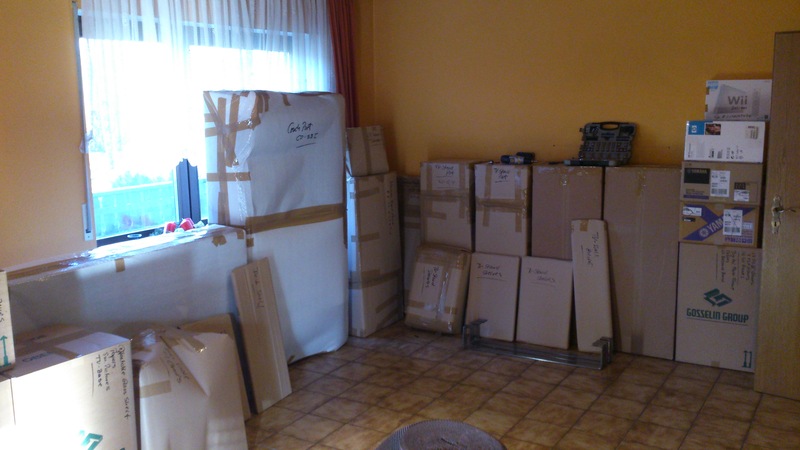 When we moved to that house in 2010 it took us weeks to pack and move, and half of that stuff we just threw into a box. But there wasn’t any of that here. These guys wrapped every single thing in multiple layers of paper, then everything was carefully packed into a box. How quickly they did it though, that was the amazing part. So, there you have it. All 342 packages of our stuff is gone, and our poor house is empty. 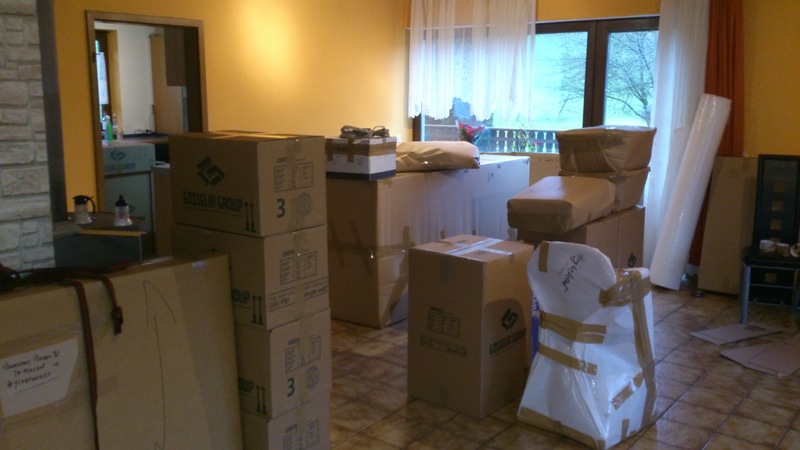 We gave the keys back to the landlord on Thursday and moved to Trier, but that’s a story for another time. I didn’t realize you’d be living in Trier before the big move?! Hope you’re enjoying my neck of the woods and were able to celebrate the holiday somehow. Good luck with everything! Thanks. We’re staying with my father-in-law and enjoying the hell out of the holidays actually! Germany’s three days of Christmas rock! How long will you be in Trier, it is my neck of the woods as well.